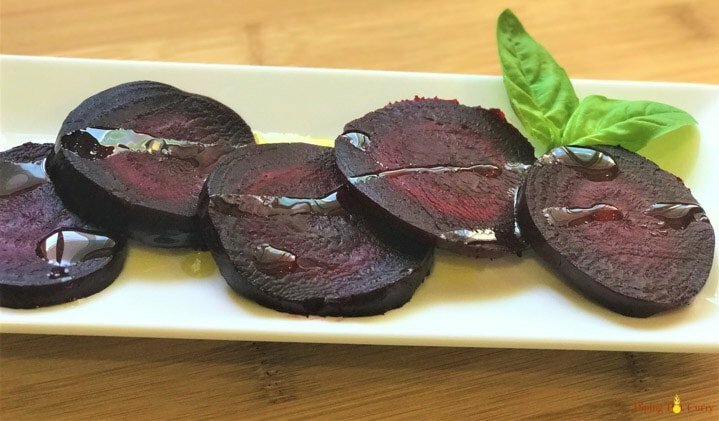 Easy and quick beets in the instant pot. 15 minutes on high pressure and they are prefectly done. The skin just slids off! Use them in a salad or pilaf. Beets are so flavorful and healthy. We will cook Beets in the Pressure Cooker or Instant Pot. Usually beets take very long to cook, however they are a breeze in the pressure cooker. I love beets, especially after knowing their nutritional value. Also, how can one not love the bright colors? Red is my favorite color. My husband on the other hand, is not a big fan of beets. But guess what? I mostly do the cooking, so I get to choose what we eat 🙂 To his credit, he never frowns on anything that is on the table. In fact I think he completely relishes any new dishes I try. I have been using Imperfect produce a lot lately and they always have beets in the box. So I am cooking beets more regularly now. Check out imperfect produce if you have not already, it is a great concept. “Beet is of exceptional nutritional value – low in fat, full of vitamins, minerals, iron, and packed with powerful antioxidants – a health-food titan“. 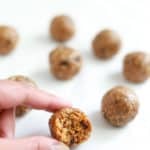 They are also an excellent source of folic acid and a very good source of fiber, manganese and potassium. Although I don’t use the beet greens in this recipe, they are also very nutritious and can be cooked up and enjoyed in the same way as spinach. How to cook Beets in Instant Pot? The first step is to trim the beets. It depends where you buy the beets from, they might have leaves with them or leaves might have already been removed. Trim the leaves leaving the root. Then rinse the beets under running water to remove any dirt. I used 3 beets this time, but you can easily double or triple the number of beets. The main thing to note is have almost equal sized beets when cooking. 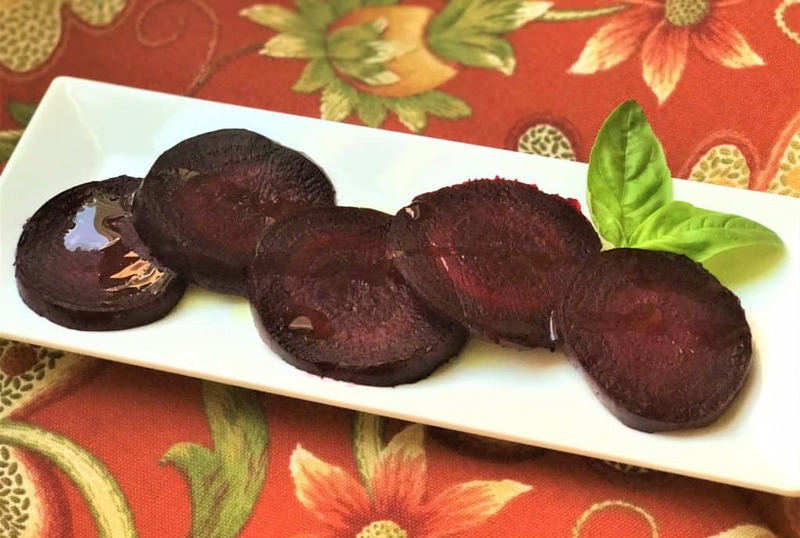 This is one recipe where the cooking time varies based on the size of the beets. Small to medium sized beets can all go in as is. If there are some large beets, then cut them in half. Add a cup of water to the instant pot and place the trivet in it. Place the beets on the trivet. 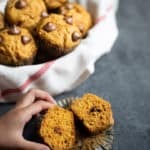 You could also use a steamer basket. For all small to medium sized beets, cook on manual or pressure cook at high pressure for 15 minutes. If all your beets are large, you can cook for 20 minutes. Do a 10 minute natural pressure release, which means release the pressure manually 10 minutes after the pressure cooker beeps. The left picture below shows before they are cooked and the right one after pressure cooking. You can insert a knife through one of the beets to check if they are tender all the way through. Else cook them for a few more minutes. Question: Do I have to peel beets before cooking? The answer is you can, but it is not required. I prefer to peel them after they are cooked. The skin just comes off with your fingers or a paper towel. No need for a knife or peeler. It can smudge your hands red, so if you are going to a party, don’t forget to wear gloves. Transfer the beets to a plate/cutting board and let them cool down. Then you can easily scrape off the skin with your hands. Slice or Cut the beets as you prefer. Transfer to a serving bowl, drizzle with some olive oil and/or balsamic vinegar. Season with salt and pepper. They are a perfect side dish or can be added to a salad. I made a Beet Caprese salad with the leftovers. If you are looking for more beet recipes, check out Beet Pilaf made in the pressure cooker. 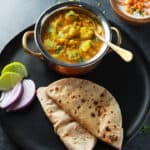 Check out other basic cooking recipes in the instant pot – Steamed Broccoli, Cooking Chickpeas. 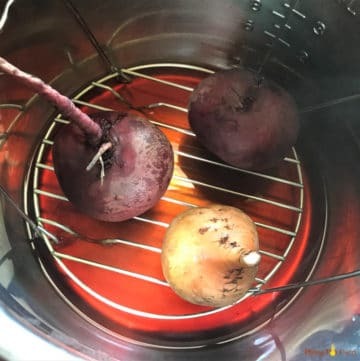 Tender and flavorful beets cooked in Pressure Cooker. 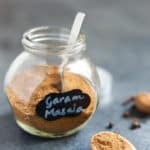 Perfect as a side or added to a salad. Trim the beet leaves leaving the root. 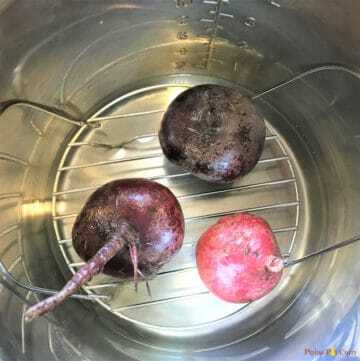 Rinse the beets under running water to remove any dirt. Have almost equal sized beets cooking together. If there are some larger beets, you can cut them. Add a cup of water to the instant pot and place the trivet in it. Place the beets on the trivet. You could also use a steamer basket. Close the pressure cooker lid with vent in sealing position. 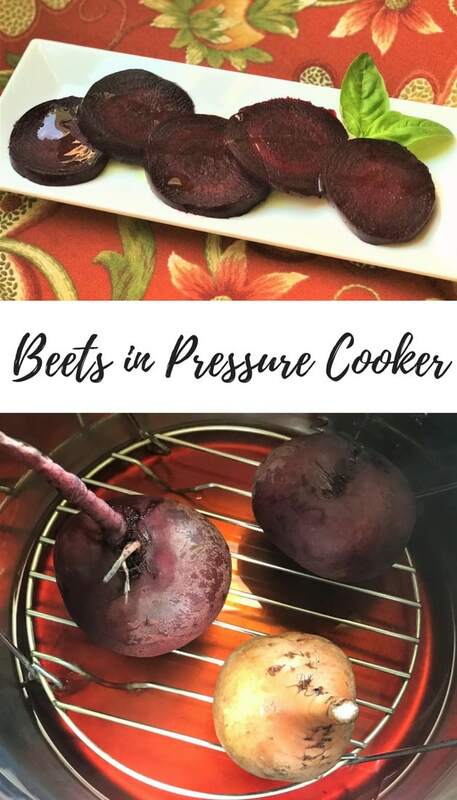 For small to medium sized beets, cook on MANUAL or pressure cook at high pressure for 15 minutes. For all large beets, cook for 20 minutes. Open the lid and check that the beets are tender all the way through by inserting a knife through one of the beets. If the beets are not tender, let them pressure cook for few more minutes. 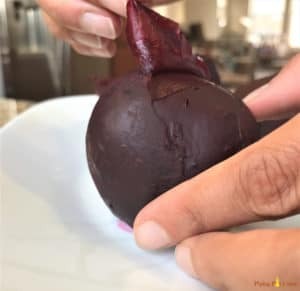 Transfer the beets to a plate or cutting board and let them cool. Peel the skin with your fingers or a paper towel. Slice or cut the beets as you prefer. 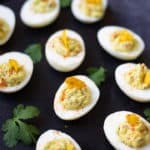 Enjoy them as a side or in a salad. I used 3 beets, but you can easily double or triple the number of beets. Cooking time will remain the same.